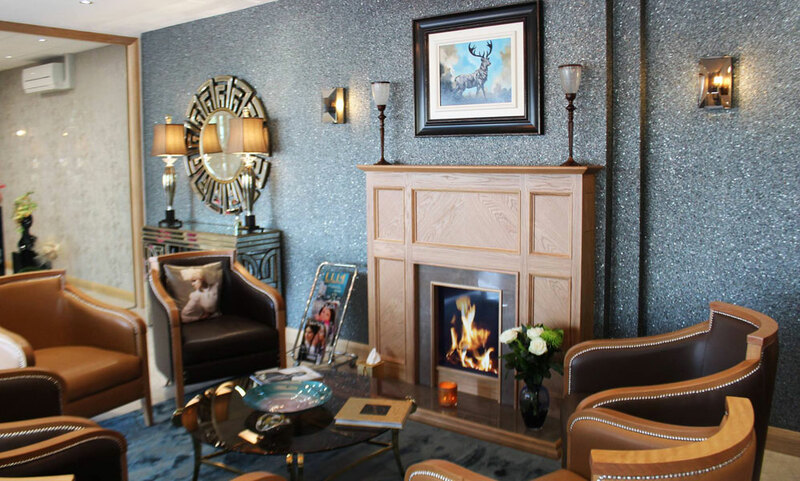 With over 34 years of international experience in hair and fashion, Keith Kane Hair International has continued to reinvest in the local Carryduff community by opening what can only be described as the ultimate in luxury with their brand new, state-of-the-art salon at the Cyril Johnston Complex. Keith Kane Hair International is a multi award-winning salon within the UK and Ireland. Keith has won the Schwarzkopf World Championships in Tokyo, he has recently had his 22nd nomination for the British Hairdressing Awards - he is one of the most nominated hairdressers within the industry. The relocation to their fabulous new premises is the pinnacle of what has been an incredibly successful journey. 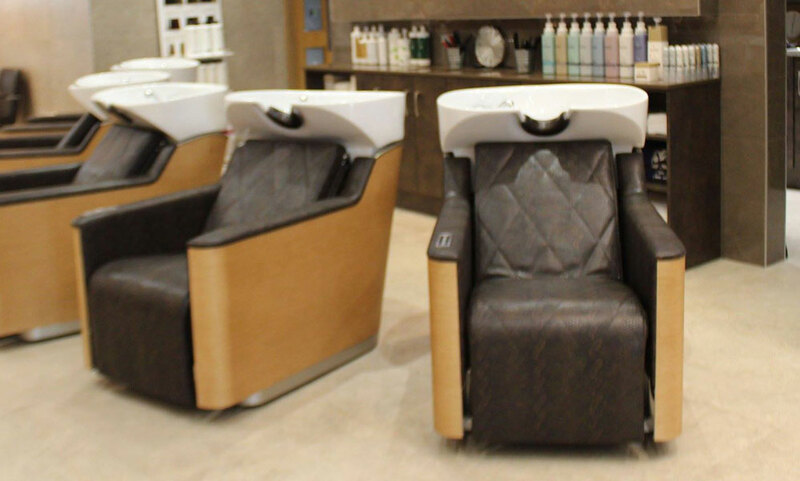 There is no doubt that Keith Kane Hair International is a haven of indulgent satisfaction. 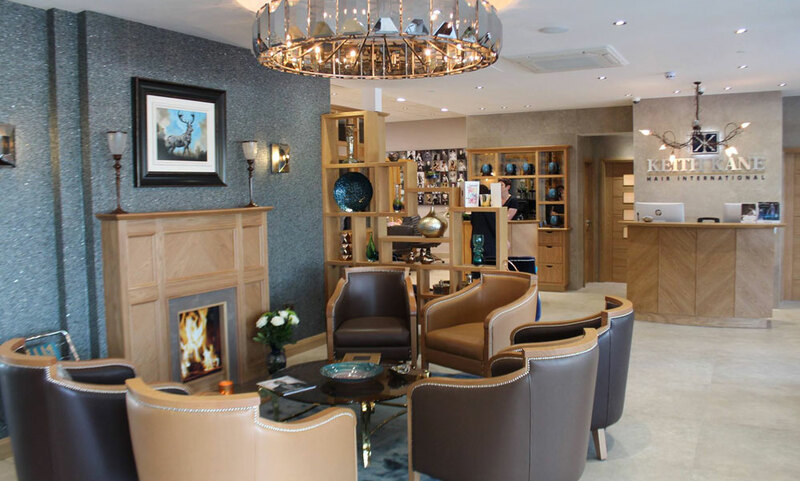 Not only can you relax and unwind with a therapeutic massage in one of their basin chairs, replicated only by Harrods of London, but you can continue the experience with a beverage of your choice from their extensive drinks menu and a heated collar to help melt away the stresses of the day. In addition to his award-winning reputation, Keith is also a Couture Milliner designing bespoke creations for the ultimate in special occasions. A beautiful array of designs that have graced Ascot and Buckingham Palace are on display within the salon. If you want to feel empowered with the confidence and beauty you deserve, contact the talented team at Keith Kane Hair International for an appointment. Yet another fab hairdo from Keith!! Need I say more - only to be expected from the Maestro! Lovely little glass of non alcoholic mulled wine, piece of stollen, loads of interaction with attention the other staff members and the undivided attention of Keith on my tresses - what more could a girl want!! Can't wait for January when we will be deciding what colour I am going to go next...watch this space. Excellent staff treatments and care. Lovely place to be pampered for an hour or two. Great Colour Again Rebecca, Thank You!!! Very good !! Five stars!!! I certify that this review is based on my personal experience of Keith Kane Hair & Beauty and is my opinion. I have no business or personal link with Keith Kane Hair & Beauty and have not been offered payment to write this review. By providing these comments you give Good Salon Guide permission to review and publish this information. Good Salon Guide reserve the right to edit comments for length, spelling or clarity where appropriate. As part of this appointment request Good Salon Guide will record your name, email address, telephone number and appointment details. This information will be passed to Keith Kane Hair & Beauty by email, through the Good Salon Guide app and over the telephone. This data will not be shared with any other companies and we will manage your data in line with your preferences below. Keith Kane has racked up a whopping 17 nominations in the British Hairdressing Awards – a record breaking first.